“Cutie” needed his head examined. Literally. The 6-year-old male neutered Australian Cattle Dog had an ear infection that would not quit. What can be done for an “end-stage” ear? House call holistic veterinarian Doc Truli received a call on a Friday night. The distraught dog parent on the phone was reticent to discuss the case. “I don’t even know why I’m calling you. It takes 3 nurses just to hold him down so the vet can give him a sedative every time he has to go in for anything. I don’t want you to waste your time coming out to my house,” said “Cutie’s” mom in confused desperation. 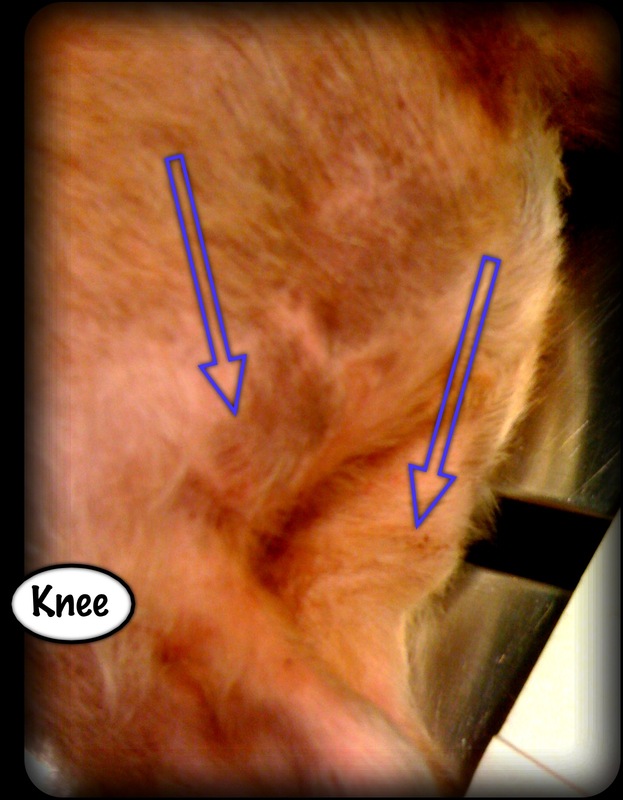 We scheduled the appointment without knowing if I (yours Truli) could even touch the dog! Now you see what we were talking about! Let me fill you in on some background, lest you think this dog’s caretaker acted negligently. 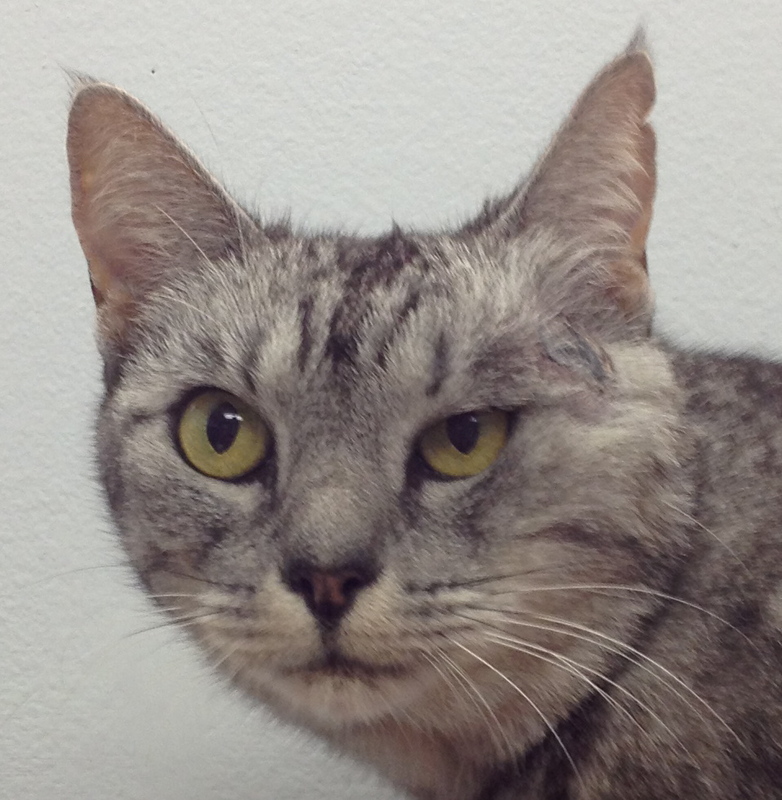 She had been treating this ear, under specialist veterinarian supervision for about a year. No kidding. This is the result. By the time she called Doc Truli, this dog would not let anyone even near the ear, let alone examine it, test it, clean it and medicate it. The specialist suggested a radical surgery called a Total Ear Canal Ablation. “TECA” (pronounced “tee-kah”) for short. A TECA is a delicate surgery where the side of the ear canal under the ear flap is removed. Removed. This leaves the ear canal and the eardrum open to the air. Good for healing infections, bad for hearing. There is also a useful nerve called the Facial Nerve that runs right past the side of the face that can be cut during the surgery. This can leave the side of the face drooping from lack of nerve supply. The lips and the eyelid can get infected and messy where they droop, necessitating more cleaning. For a dog who hates to be touched in the first place! Now you get the idea why “Cutie’s” mom called a holistic veterinarian. Holistic “House” Call to the Rescue! As soon as we entered his house, “Cutie” took off and hid behind the sofa and the best he would do is lay on the tile glaring at your Truli suspiciously. “How about this: let’s try Traditional Chinese Veterinary Medicine (TCVM). There’s a formula designed for ear infections. If it works, it will be slooooow. It may be a month or more before you can see improvement,” said yours Truli. 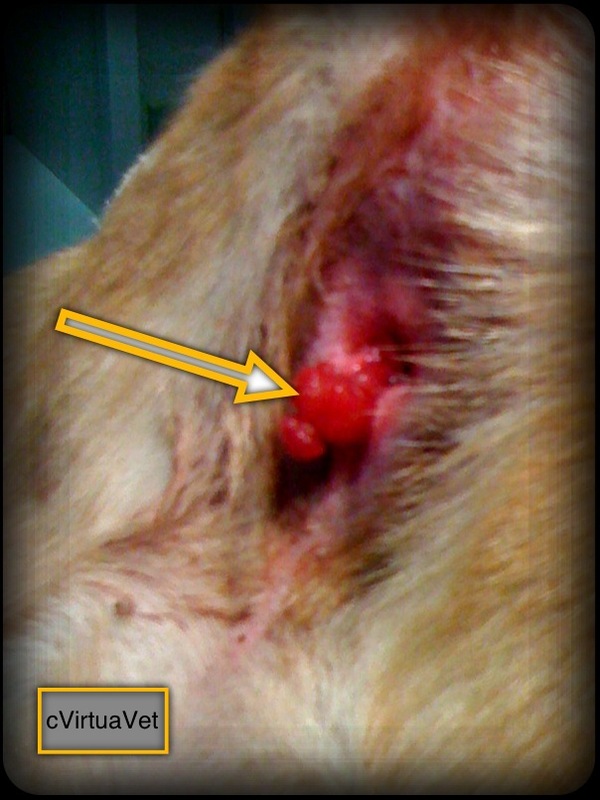 Here’s the ear after 4 weeks of just Traditional Chinese Veterinary Herbal Medicine in “Cutie’s” food. The discharge was about 75% less. The fur under the ear no longer felt hard like a tumor. The smell was almost completely gone. He even let his mom start cleaning the area, which sped up the healing even more. That’s amazing! He continued to take the remedy and his ear continued to be better and better. Traditional Chinese Veterinary Medicine typically works best when integrated with Western, allopathic medicine. In this case, we had no option but to try pure herbal treatment with surprisingly good results. If you wonder if Chinese herbal medicine can help your pet, you need a trusted veterinarian who practices Traditional Chinese Herbal Medicine to help you. You need a pure, cGMP (FDA good manufacturing practices) pharmacy and you need your dog diagnosed correctly and the herbal formula chosen correctly to prevent side effects and have the best chance to get the results you desire. You can find a TCVM veterinarian at the website for the Chi Institute. Even though the Chi Institute is in Florida, USA, veterinarians from all over the world study there and you may find a veterinarian on your country who can practice this kind of medicine for your pet. Or come visit us in America! Oh, I Truli wish you offered phone consults, just to offer your thoughts. Or even just assurance would go a long way for many of us pet owners. My long-time, trusted vet of 17+ years has become “a bit slack,” to put it politely, for some time now, but my 18 yr old baby girl liked him and his office was familiar. Now I’m sure she is suffering and we think it’s time. Even though our vet just saw our fur baby a few days, ago so knows she’s been sick, my husband’s call or my two calls went unreturned today (“He’s with a patient, I’ll have to have him call you back.”) My husband even text and it was also ignored. It’s disgusting that I’m not surprised because of his other recent “removed” behavior. What little trust in our vet that remained is now completely blown. I don’t want him to care for my girl ever again. She tires very easily and has anxiety, so hates leaving home, now, but am I going to have to take her to a new vet just for a consult and possibly help crossing Rainbow Bridge? Sometimes people can be so cruel. What a horrible end of life experience that will be. She will be an upset, nervous, wreck. How cruel and unfair! I’m so angry! 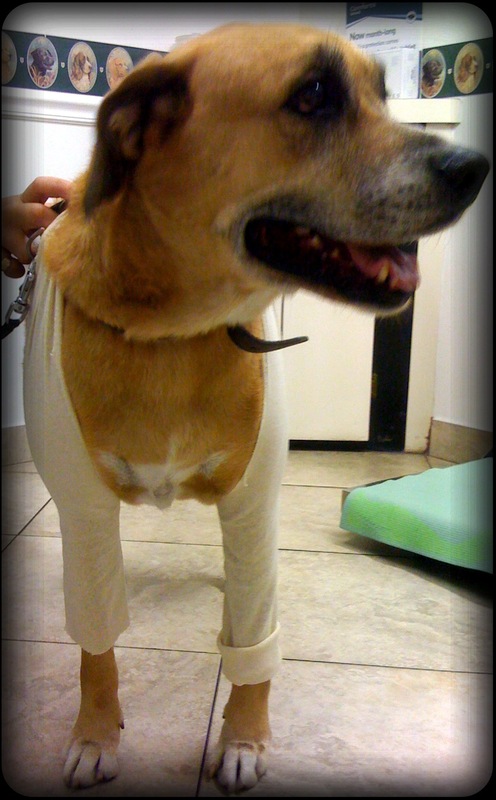 I hurt for her – my sweet girl doesn’t deserve this! Why would our vet behave this way towards her? And us? We owe him no money and thought he cared. He has been my fur baby’s only Dr. My husband considered him a friend. Yes, will get better. You have started the grieving process, so your emotions may surprise you. Sometimes patience and persistence goes a long way. 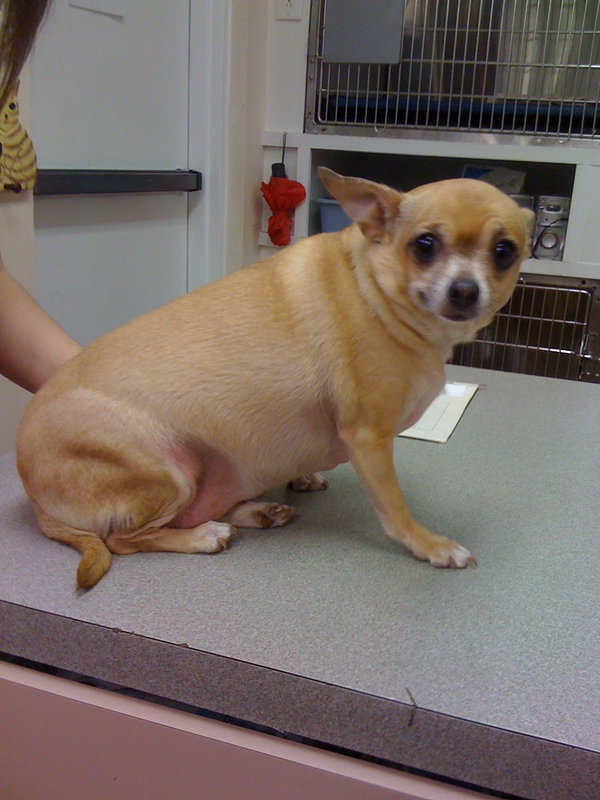 Your vet might literally have 4 people whose dogs are just as dire as yours at the same time. I had one Christmas Eve where I had 7 terminally ill, suffering dogs to help over the Rainbow Bridge. They could not all have the first appointment in the morning! I changed my practice to private concierge house calls so I could limit my number of clients and focus more attention on them while preserving my sanity. I am fortunate to have a service in my area called Lap of Love. They are vets that come to the home to help pets cross over. They are a nationwide franchise now and may be available in your area.